Reviews on books, magazines, shows, and websites on scrapbooking. I just added a few scrapbooking and crafts books to my Shelfari. Are you on it? Let’s be friends! Before I left Hawaii, I had to go to the second location of Paper Island! And like Jared said, there’s a lot more papers here. I had a great time picking out papers and talking to Francis, the store manager at the Waikiki location. Take a look! 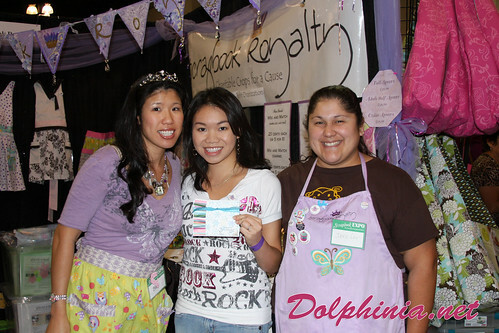 Many thanks to Jenni Jong for showing me this new Scrapbooking Community Website. I signed up and I LOVE it! Scrapin Style TV is awesome. Check out my profile! I’ll add more when I get the chance. :D I’m hoping to meet some fantastic scrappers. :D Thanks again Jenni! The Scrapbook Store is a great website where you can find all the scrapbook stores near you! Just put in your zip code and go! Thanks for the link Sue!